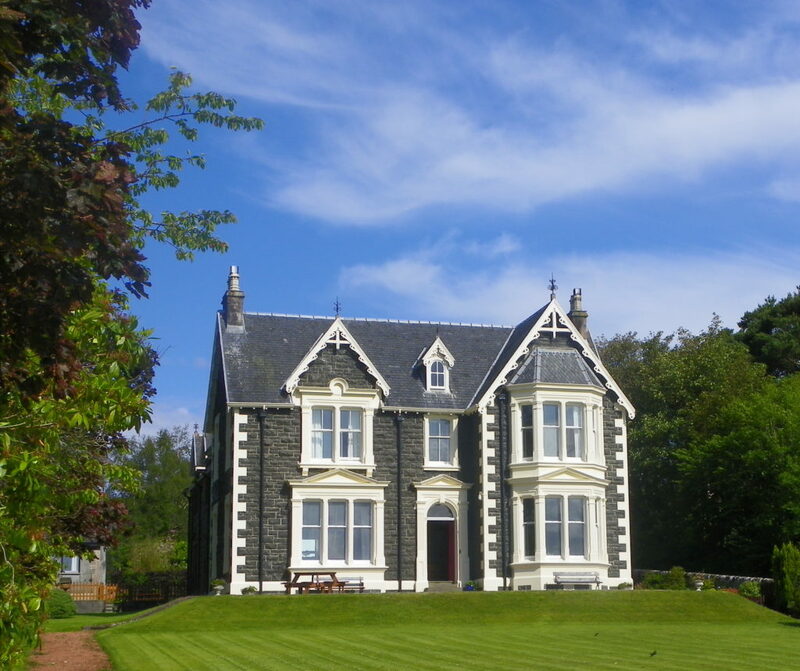 Oakfield House has spectacular views over Tobermory Bay and the Sound of Mull, and has been recently renovated to an extremely high standard, still retains all of its original features as well as a tasteful mix of antique and modern furniture/decor to ensure a comfortable and relaxing stay for our guests. The house comprises two large comfortable sitting rooms both with wood burning stoves and a large dining room with seating for up to 14 around the room’s centrepiece mahogany dining table. Guests have a choice of five large double bedrooms, four with ensuite facilities and all featuring modern king size beds.